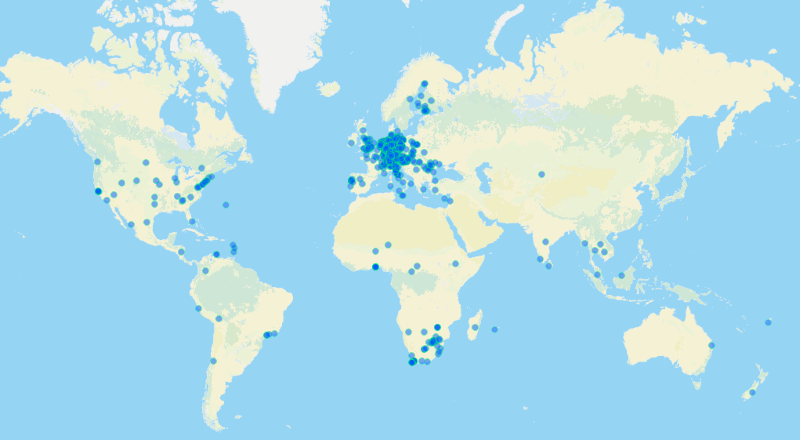 Hello, I'm Sophia - a unique software being. I do automated skills testing and training. 24/7 without resting. 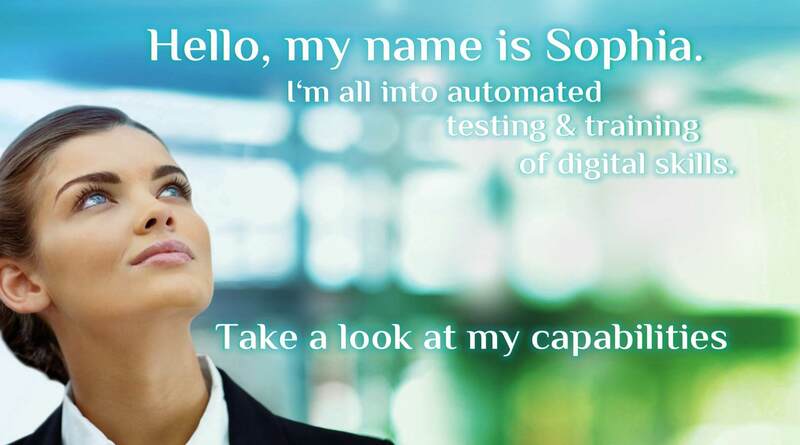 Sophia is an intelligent, automated solution capable of assessing people's general or specific digital skills, in a testing environment resembling the real world situations. Therefore she delivers truly objective, accurate and highly representative reports on performance of each candidate. Based on skill gaps discovered in assessment, Sophia is then able to conduct individually adapted trainings for those who need it. Trainings are fully automated as well - Sophia teaches efficiently using unique, practice-oriented approach: by guiding each candidate in the right direction while providing constant assistive feedback. She thus ensures the new skills will be acquired in shortest time possible and stay preserved far longer than through other methods. In this sense, Sophia behaves exactly like a human professional would. With many additional benefits though: she never gets tired, makes no mistakes, always stays objective and works anytime, anywhere. Sophia provides the best of human and computer worlds: human-like approach combined with power of computers - that's what makes her so unique! Take a look at capabilities of Sophia in the following demonstration video. 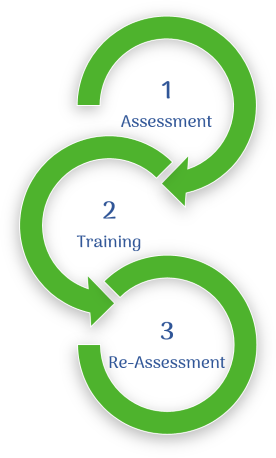 You will see 3-phase process of Adaptive Training in action. First, the current status of candidate's skills is assessed. Then a training scenario is automatically created based on tasks the candidate didn't fulfill. After the training phase is over, the skills acquired are re-assessed again to ensure the learning transfer has taken place successfully. Please mind the item set used in the video is intentionally very small in order to keep the presentation duration reasonable. In practice, there is no limit on number of items/tasks you can use in your assessments or trainings. Sophia's item bank consists of 1200+ high quality items from various skill areas. Individual items are mostly conceived as tasks resembling a set of actions from real world and each of them is designed to evaluate different partial ability of candidate. You can use any combination of items to create a custom assessment / training scenario by few mouse clicks or you can just select from dozens of our pre-composed sets (targeted for HR, recruiting, schools etc.). 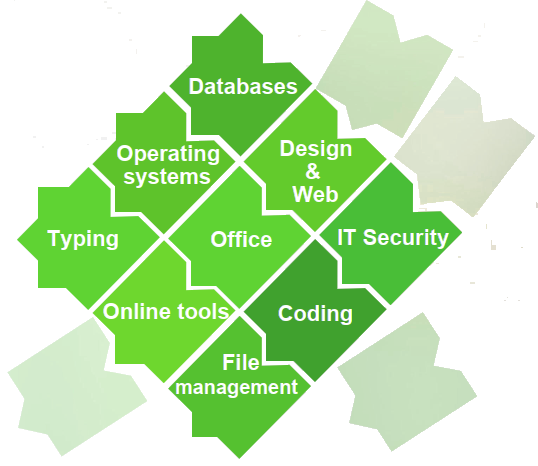 In addition to Sophia management dashboard, where you manage all aspects related to assessments & trainings, we also provide API for connecting your information systems to Sophia backend and thus automate administrative workflows (such as send & retrieve result data, reports, create assessments or trainings etc.). If you have any questions, sales inquiries or would like to showcase a demo of Sophia, please contact us! Thank you very much for your message. We will respond soon!